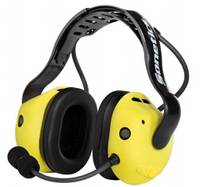 Sonetics wireless headsets enable your team to work safer and smarter. Wireless, two-way radio and Bluetooth options allow you to communicate without removing your hearing protection, and overall sound levels remain low through passive noise reduction while situational awareness is provided by active listen-through. Exposure to sound over time is measured by an innovative integrated personal sound dosimeter, and you can easily adjust headset volume to protect your ears. This state-of-the-art technology keeps your hearing safe while keeping you connected to your team. 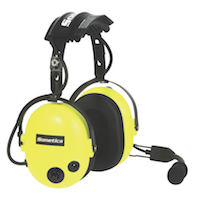 Sonetics headsets provide reliable, rugged communication that helps your team be more productive, work safer and communicate hands-free. There are no more buttons to push or waiting to take turns – with Sonetics, you can just talk naturally! 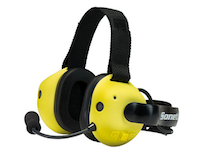 The Sonetics TRT 235/245 wireless headset maintains continuous hands-free full-duplex communication among your crew. Features include long-life battery, 1600 foot line-of-sight range, interference-free and secure wireless communication system, extended-range operating temperature, full-duplex intercom and memory foam ComLeather ear seals. 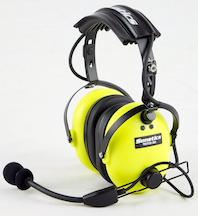 Features of this over-head style headset include water-resistant and comfortable ear seals, extended operating temperature, robust design, waterproof microphone, three-way adjustable boom, DECT6 wireless technology, long-life battery, interference-free wireless communication system and full support integration. The Sonetics APX372 delivers rugged performance, all-day comfort and an automatic dosimeter that protects you from harmful noise levels while enhancing all other audio for comfortable listening. Situational awareness is provided through Stereo Listen-Through without sacrificing hearing protection and safety. 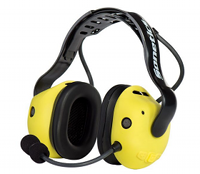 This radio transmit headset with advanced hearing protection connects to nearly any portable radio via direct-wire cable. 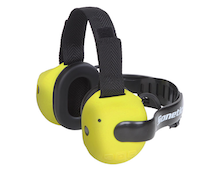 Industry-leading hearing protection helps you communicate safely in even the most challenging work environments, and Listen-Through situational awareness protects your hearing while allowing you to have face-to-face conversations and hear your surroundings. Featuring maximum hearing protection and long-wearing comfort, the Sonetics APX375 allows you to listen to music, integrate with a two-way radio and take calls via wireless Bluetooth and wired inputs. Rugged, comfortable and submersible, this design ensures flawless performance in all work environments. Protect yourself from harmful noise levels while enhancing all other audio to comfortable listening levels with the APX 377. Benefits and features include Stereo Listen-Through, two-way radio and MP3 player connection, rugged durability in even the most extreme environments and improved team communications. The Sonetics APX379 features a rugged design that is waterproof and rustproof, real-time measurement of sound levels around you and at your ears, automatically-adjusting sound levels, Stereo Listen-Through technology, one-to-many channels, headsets that scale to your team and Bluetooth technology.